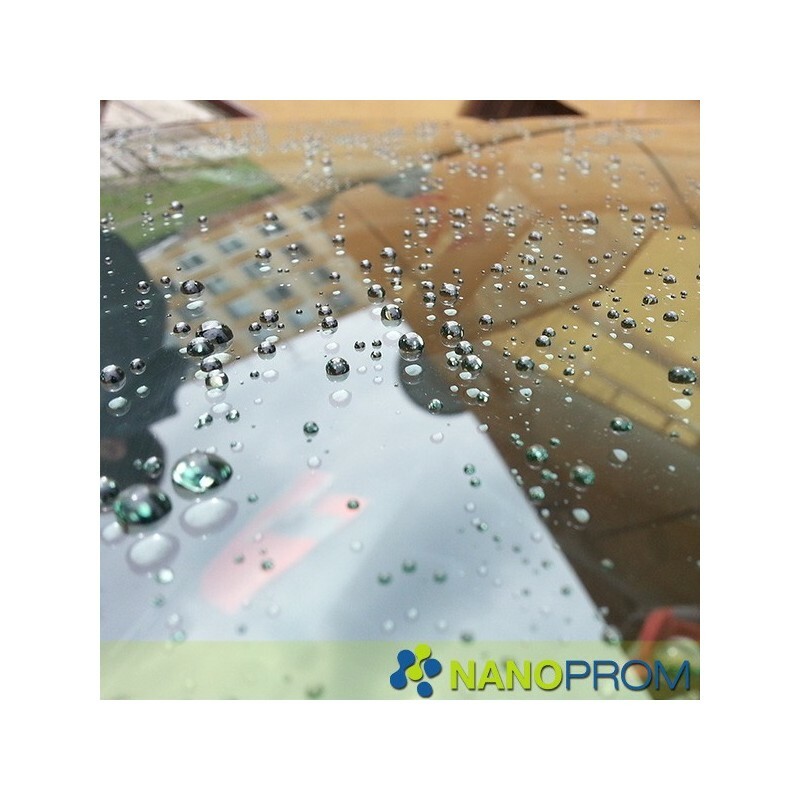 Liquid windscreen wipers based on nanotechnology are a revolutionary product in auto-moto field. The windshield receives unique properties that improve your all-round visibility and safety, especially during rain. Volume is sufficient for 1 car. 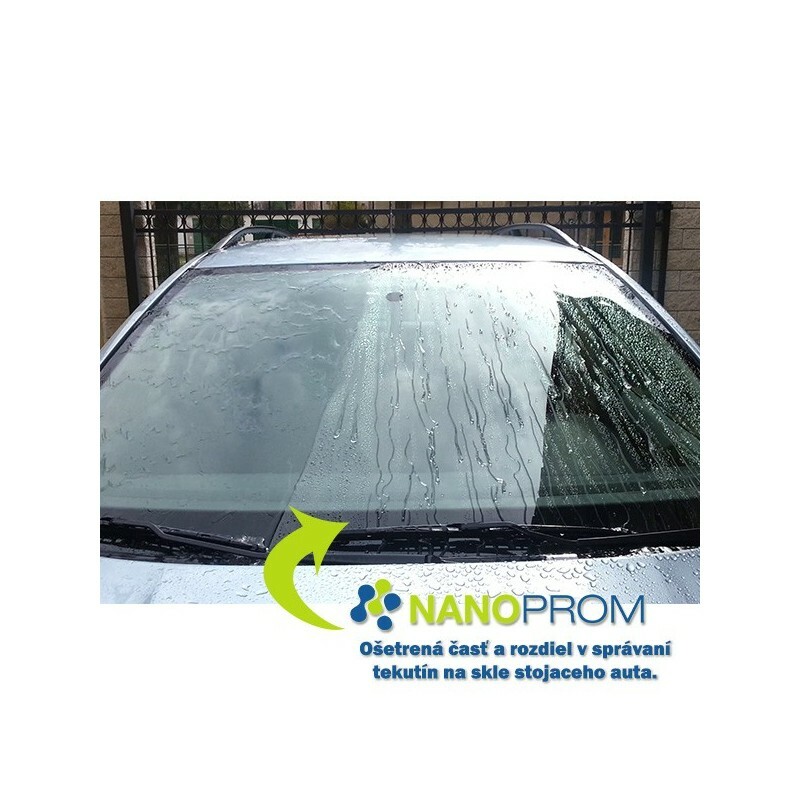 NANO invisible liquid windshield wipers are an innovative product using nanotechnology. 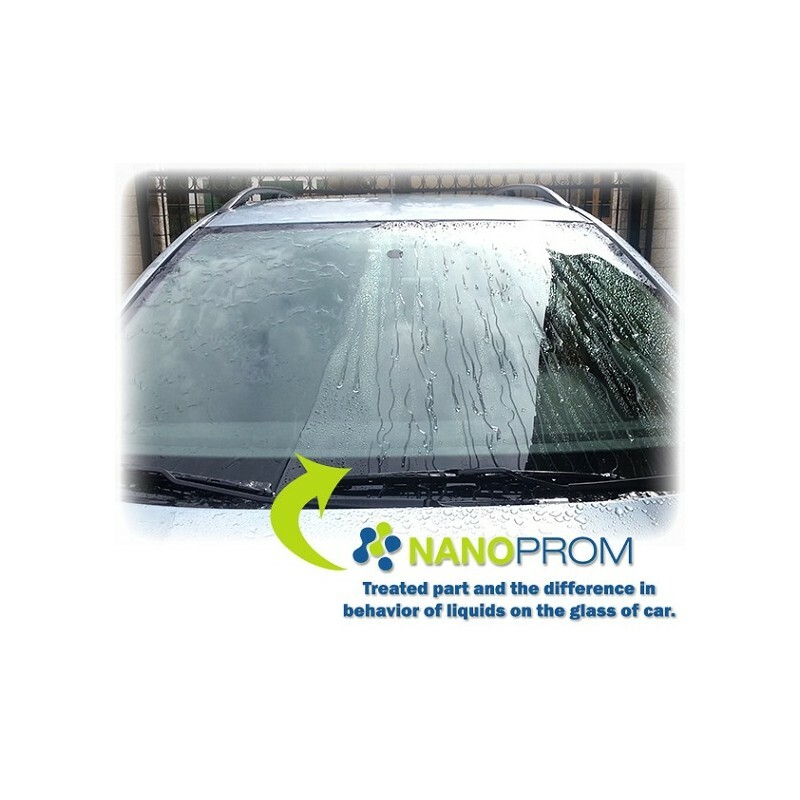 The windshield receives unique properties with treatment, such as hydrophobic effect, oleophobic effect or non-adherence to dirt. Increase your safety in the vehicle during rain, mostly due to repulsion of water and other liquids, when, while driving, rain drops immediately fly off of the windshield s surface. You will only need to use windshield wipers minimally during lower speed. The resistance of wind starts to push the rain drops away from the windshield at around 60-70km/h. Check the liquid windshield wipers in practice! What benefits do you gain by treating the windshield with this product? Greater safety while driving during rain (increased reaction time of the driver, improved visibility). Non-adhering of dirt on the surface of windshield and simultaneously "easy clean effect". Most of the dirt is washed away from the windshield by itself during rain. Remaining dirt is easy to clean using only water without any detergents. Great reduction in using windshield wipers and washer fluid. Time saving ("easy clean effect", self-cleaning). Money saving (lower abrasion of windshield wipers results in lower frequency of their renewal. Easier removal of ice coating from the windshield. 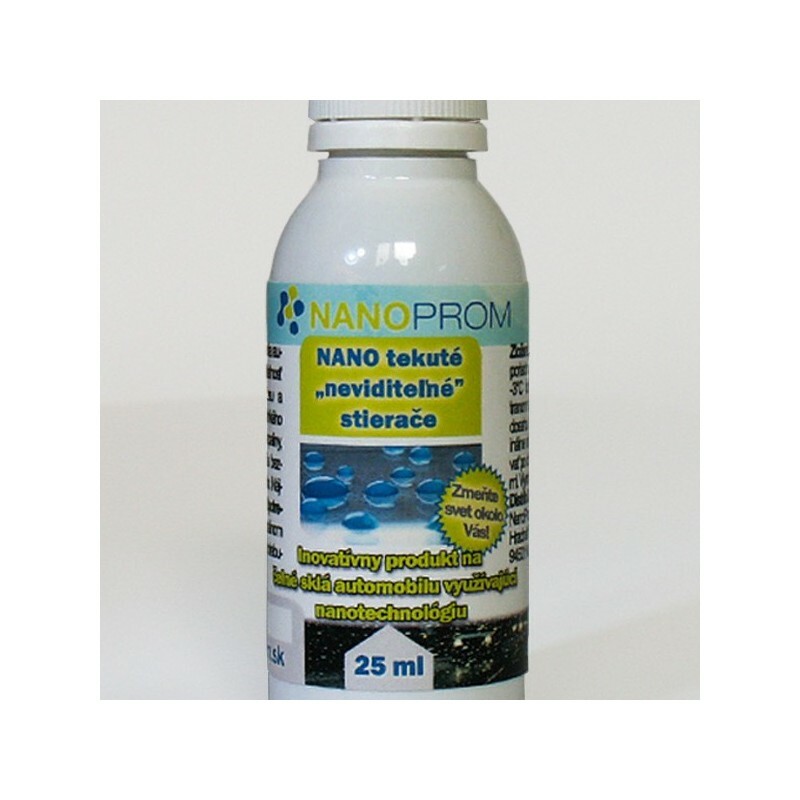 You will receive a certified German product which has a guaranteed quality (there are many products on the market pretending to be NANO products even though this is not true). Resistance to common chemicals, UV stability, resistance to car-wash brushes, resistance to road salt. Consumption during manual application is 5-10ml/m2. A 25ml package suffices for treatment of one vehicle. Longevity of treated surface is guaranteed for one year or 15,000 km. In good conditions, the longevity may be longer. Resistance to abrasion is as follows: 10,000 wipings result in 10-20% decrease in efficiency. The application procedure is easy and manageable by everyone. It is adapted for easy "do it yourself" application for end customers and can be found here: Windshield application procedure. Manual of windscreen in Slovak language. Már többször is vásároltam, meg voltam elégedve, 1 évig kíváló a termék. Legjobb nano szélvédő kezelô folyadék. Gyakran járok hosszú utakra, esőben nagy segítség számomra, nem kell használni az ablaktörlőket. Eddig ez a legjobb termék szélvédőre, amit kipróbáltam.